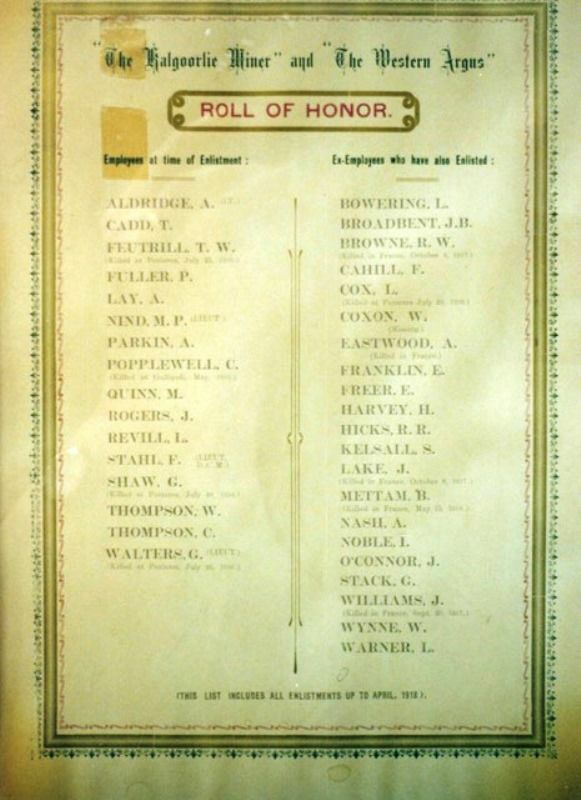 The paper honor roll commemorates employees and ex-employees who enlisted in World War One. The roll is a printed with a coloured pattern border and text in black. "The Kalgoorlie Miner" and "The Western Argus"
Employees at time of enlistment. Ex-Employees who have also enlisted. This list includes all enlistments up to April 1918.